I love a good desk lamp. They make me feel scholarly and industrious. When I was a kid I fantasized about having a big library in my castle someday with leather chairs and elegant brass lamps lighting the pages of my books. That’s very specific, but I find that desk lamps work in a lot of other slightly more realistic situations–which is great because I’m pretty sure the castle isn’t going to pan out. They’re obviously great in workspaces, but lately they’ve been popping up in family rooms and bedrooms, too. 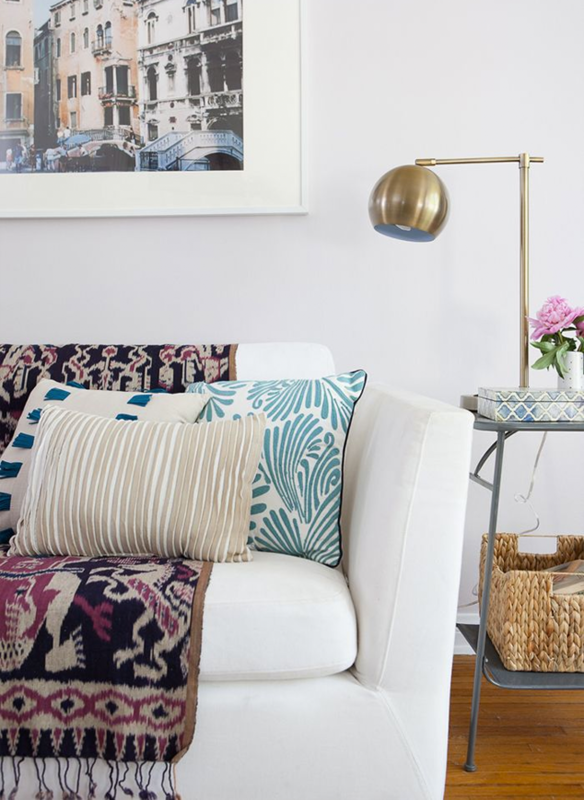 We’ve chatted about metallics before and these lamps obviously fit the bill for adding brightness, but they can also add a dash of retro/vintage charm depending on the style you pick. I dig them for the timeless factor, too. These have never really been UNcool, so it’s not like they’re going to go out of style. Lamp #6 is the one we own. Two of them, actually, on either side of our bed, but if it were up to me I’d put one in every room of the house. (I also kind of want to write sonnets about them, but I’ll spare you.) Part of my undying love has to do with the cost-to-quality ratio. They only set us back $ 30 each as they’re from IKEA, the arms are adjustable, and they’re heavy. You know how sometimes IKEA products can–and I mean this in the most objective, non-hater way possible–be kind of flimsy? Not these. They come off as rather fancy. See? Nary a work-related item in sight and a desk lamp still fits. I almost like them better in “unexpected” situations because they stand out. 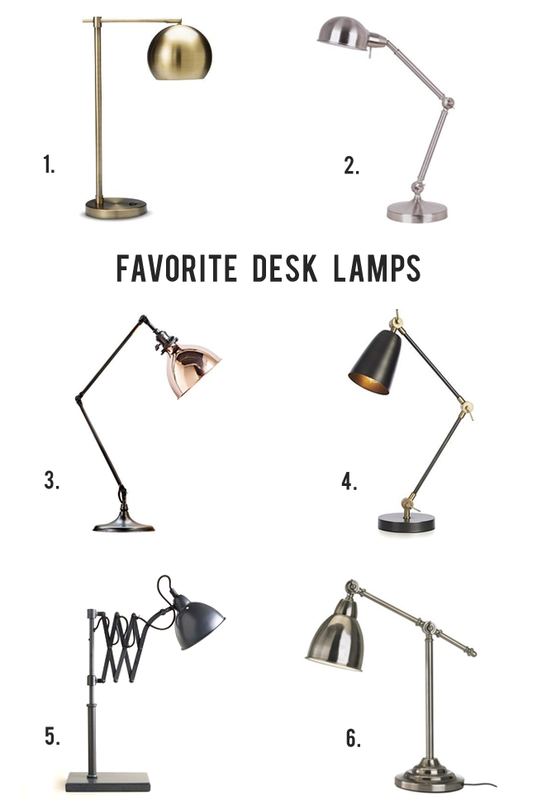 Thanks to Paige for sharing her favorite (and now my favorite as well; #3 please) desk lamps with us. In addition to writing for Bubby and Bean as our Home Contributor, Paige works as an Interior Designer (check out her biz, The Room Kit) and blogs over at Little Nostalgia. You can also find her on Facebook, Twitter, Pinterest, and Instagram.